In particular, I love the West Fork Trail of Oak Creek. 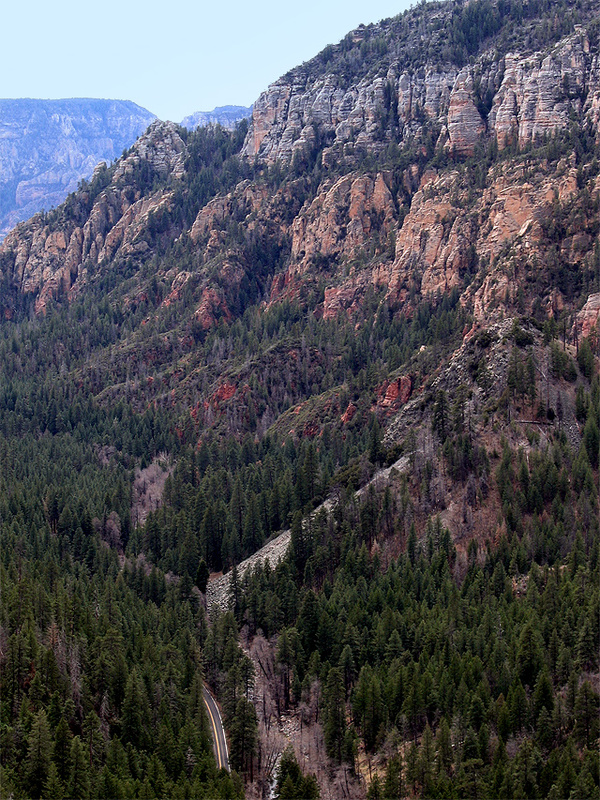 It’s insanely popular, and one of the best hikes in the state. As you drive up the road, you’ll pass all kinds of small restaurants, grocery stores, and bed and breakfasts. There’s a Dairy Queen that has been there for as long as I can remember. 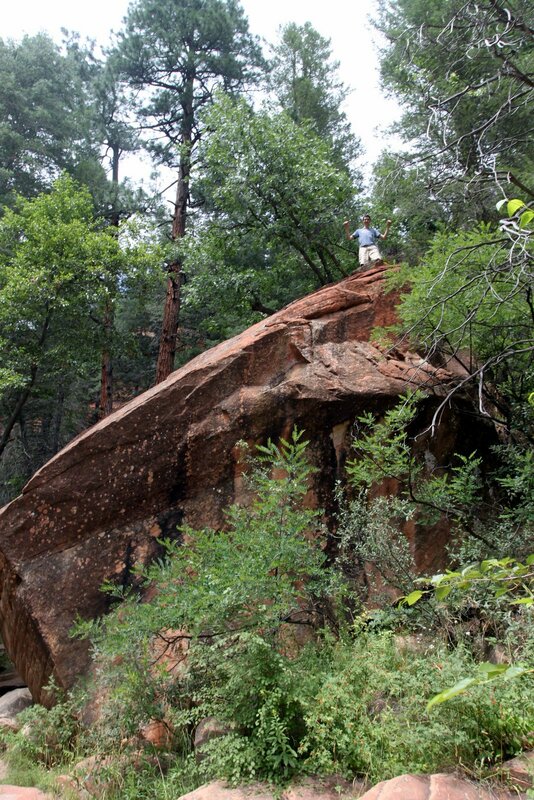 You’ll pass Slide Rock State Park, which is a big family attraction in Sedona, and continue up the highway. Eventually, you’ll see a sign for West Fork Trail. That’s where you want to park. If you can find parking! It’s generally easy to find a parking space except in the high season. Some times you can find a parking space further up the road along the freeway. Parking is a few dollars per-day. The parking facility has a bunch of well-maintained latrines. This is such a diverse trail. It begins with a bridge crossing over the Oak Creek which usually has lots of water. It’s a beautiful creek with lots of pretty plants and rocks. In late summer, you can often find blackberries growing along the eastern edge of the stream. Trail length is 3+ miles with an elevation change of about 200+ feet. The hike is a one-way hike, so when you get tired, just turn around and head back. This is popular trail, so you might see a bunch of people for the first few miles, but it dwindles fast and becomes a low-usage hike. The trail is open year-round including winter. It may be closed during times of peak snow or snow melt. Continuing on the hike, you’ll pass through a huge field that offers views of the adjacent red rocks. There are large oak trees, and apple trees growing. You’ll soon see an abandoned home… it’s more like a bunch of rocks forming walls. It’s leftover from when people settled this valley. Nearby you’ll spot a water retaining well, and a cave and stables that are interesting to peruse. These are the only man-made items you’ll see on this hike. 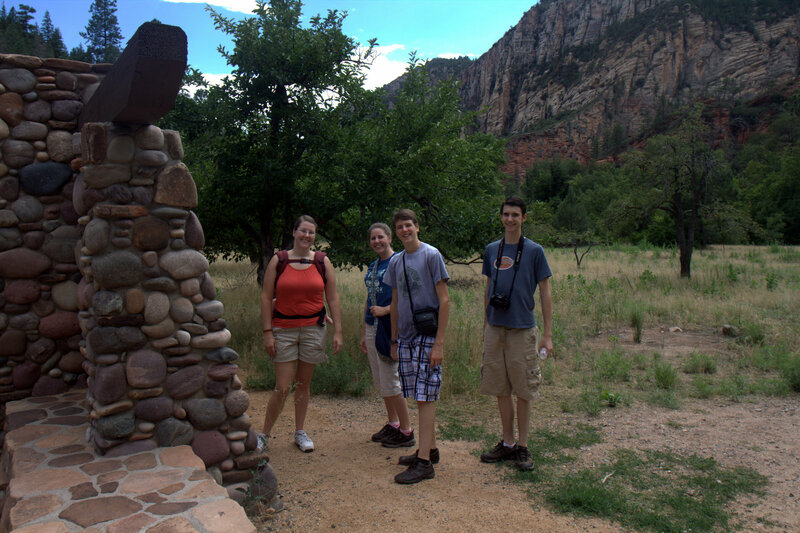 As you continue you’ll enter the West Fork Trail that winds over 20 miles through the Sedona wilderness. Most of the time, we only hike 5 to 10 miles back, but if you’re adventurous you can take camping gear and stay overnight. The best part about this hike is the high cliffs that overlook both sides of the trail. They provide welcome shade in the summertime, and also channel a nice breeze through the canyon. The next best part is the stream that the trail follows. In spring, summer, and fall you’ll usually find a strong current. But the water is shallow and you can walk in the stream all day, if you like. Or, follow the trail and find a swimming hole. There are several larger pools that are created by the natural rocks. This whole hike is a photographers paradise. The scenery is interesting in all seasons, and can be a delight in spring, when the blossoms are out, or summer when the trees are green. I’ve also hiked here in the winter after a fresh snowfall. It was so silent, and vacant. During the peak fall months you can catch the changing leaves which are absolutely stunning. I’ve been going back to West Fork for over 20 years since I first discovered this hike. Back in the mid-90s some family friends held a birthday party up here and that’s how we discovered it. As I mentioned, the hike goes back many miles. We’ve never seen the end of the trail, in fact! We have two young children now, so it seems we haven’t made it more than 5 miles back on recent visits. Just a note about clothing: It can get warm in the summer time, so dress light. You don’t need hiking shoes, but sandals or tennis shoes will work just fine depending on how far you plan to hike. Take a bottle of water and bring your camera! 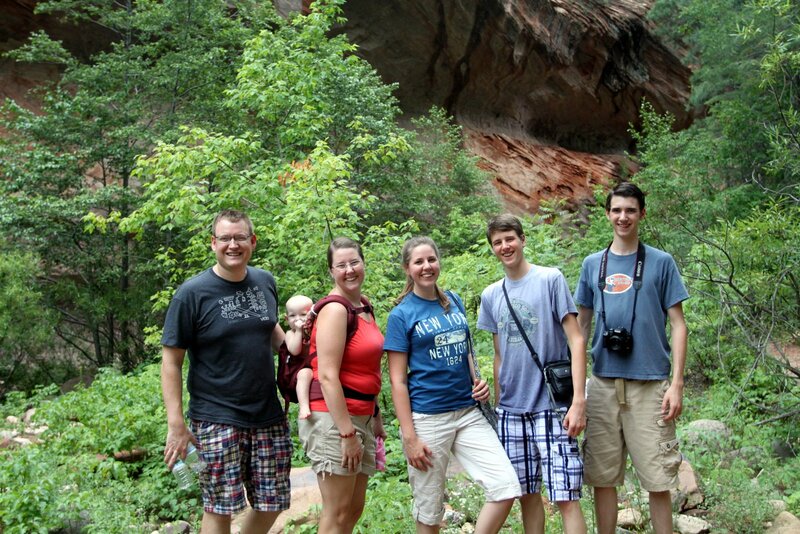 This is my favorite hike in Sedona. There’s a parking area is located beside US 89A and since it’s a state park you will have to pay to park.